Or, get it for 25600 Kobo Super Points! The goal of Identity, Formation, Agency, and Culture is to lay the basis of a theory with which to better understand the difficulties and complexities of identity formation. 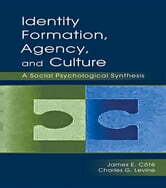 It provides an extensive understanding of identity formation as it relates to human striving (agency) and social organization (culture). 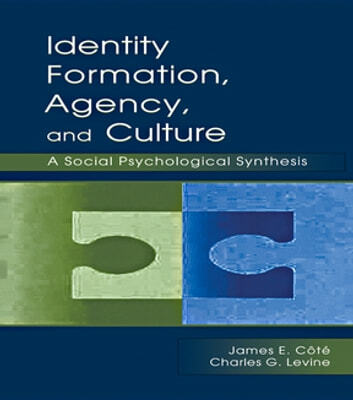 James E. Côté and Charles G. Levine have compiled state-of-the-art psychological and sociological theory and research into a concise synthesis. This volume utilizes a vast, interdisciplinary literature in a reader-friendly style. Playing the role of narrators, the authors take readers through the most important theories and studies of self and identity, focusing on pragmatic issues of identity formation--those things that matter most in people's lives. Identity, Formation, Agency, and Culture is intended for identity-related researchers in the behavioral and social sciences, as well as clinicians, counselors, and social workers dealing with identity-related disorders. It also serves as a main or supplemental text in advanced courses on identity, identity and human development, social development, moral development, personality, the sociology of identity, and the individual and society taught in departments of psychology, sociology, human development, and family studies.